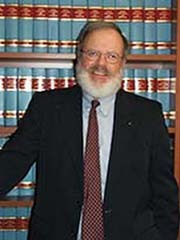 R. Craig Wood is one of the leading scholars in the field of education finance and law. His research and work regarding the methods of distributing school finance aid has appeared in a numerous scholarly journals and books. He is one of the most prolific authors in America regarding the financing of elementary and secondary education. His publications record includes more than 250 book chapters, monographs and scholarly journal articles including the American Education Finance Association’s Annual Yearbooks, Journal of Education Finance, Education Law Association’s Handbook of School Law series. His books include Education Finance Law, Fiscal Leadership for Schools, Principles of School Business Management, and Money and Schools. His latest text, Financing Public Education is forthcoming. He serves on the editorial boards of West’s Education Law Reporter, Journal of Education Finance, and Educational Considerations as well as the University of Florida Journal of Law and Public Policy. Wood has assisted in the design of the new state aid distribution formulas for the states of Missouri and Montana. He has conducted several statewide education finance studies regarding equity and adequacy of the financing of elementary and secondary education.